Then Jesus stood up again and said to the woman [caught in adultery], "Where are your accusers? Didn't even one of them condemn you?" "No, Lord," she said. And Jesus said, "Neither do I. Go and sin no more." Can you imagine anything more wonderful? This woman was caught in the very act of adultery, humiliated, and about to be killed when Jesus steps in. She is saved! Saved from the mob. Saved from the law. Saved from her sin. She has a new start. This is what Jesus does for each of us! He forgives our sin and delivers us to a new life with a new start. So the challenge for each of us is this: What are we going to do with the new start we've been given? 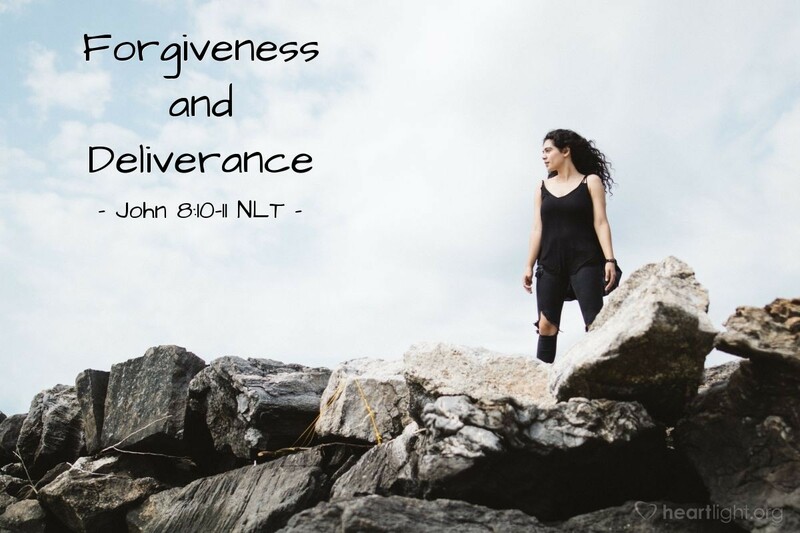 Help me, Father, to live as your new creation, fully taking advantage of the forgiveness and deliverance you so graciously provided to me by sending Jesus. In his name, I pray. Amen.